The ADS8345 is an 8-channel, 16-bit, sampling Analog-to-Digital (A/D) converter with a synchronous serial interface. Typical power dissipation is 8mW at a 100kHz throughput rate and a +5V supply. 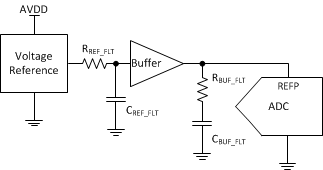 The reference voltage (VREF) can be varied between 500mV and VCC/2, providing a corresponding input voltage range of ±VREF. The device includes a shutdown mode which reduces power dissipation to under 15µW. The ADS8345 is ensured down to 2.7V operation. Low-power, high-speed, and an onboard multiplexer make the ADS8345 ideal for battery-operated systems such as personal digital assistants, portable multi-channel data loggers, and measurement equipment. The serial interface also provides low-cost isolation for remote data acquisition. The ADS8345 is available in a QSOP-20 or SSOP-20 package and is ensured over the 40°C to +85°C temperature range.